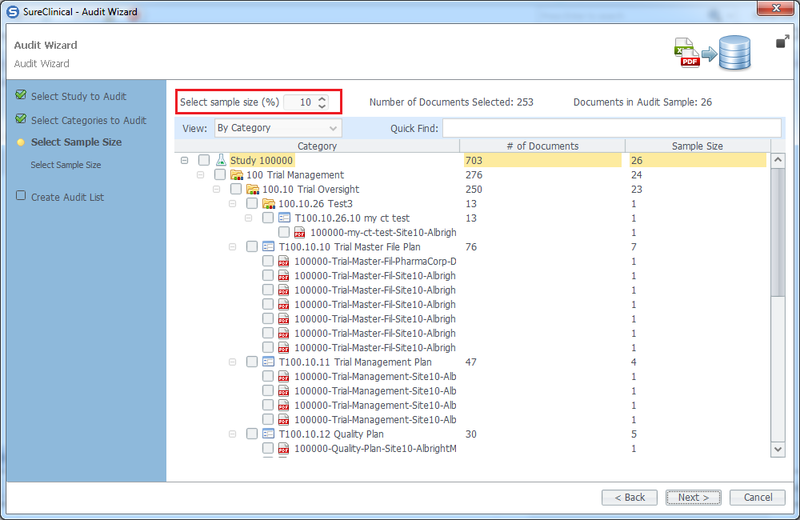 Navigate to the Quality tab and click on the Audit tab in Document Quality gadget. 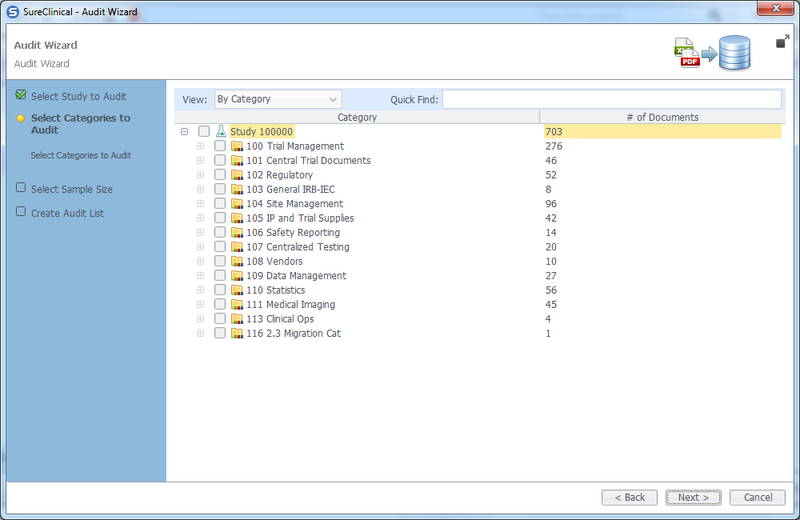 2 When the Audit tab is expanded, click on Archive Audit Wizard. This will launch the Audit Wizard. The first step of the wizard shows active studies. 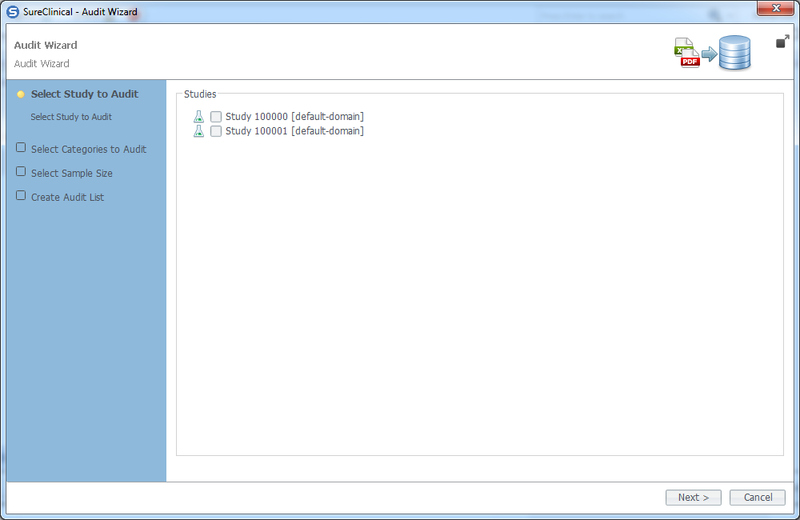 Select the study you wish to create an Audit sample for it and click Next. 4 Now select the sample size percentage. 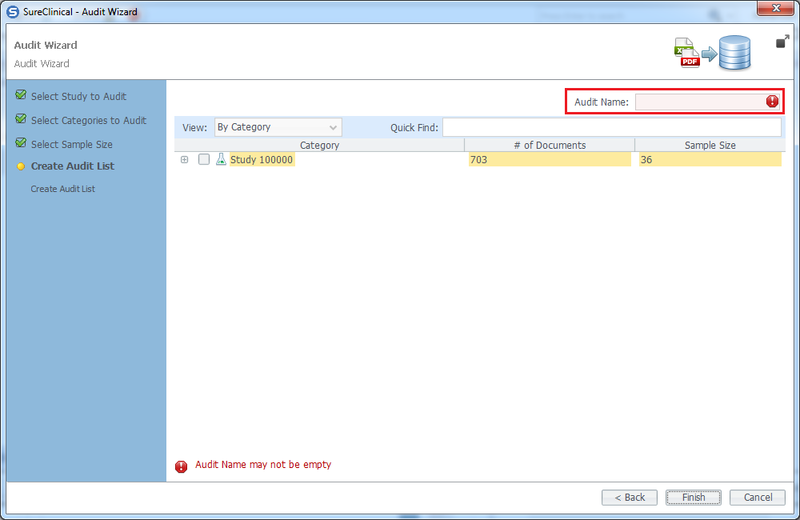 Based on the selected percentage and the number of selected Categories, number of documents selected and number of documents in audit sample differ. Click Next to move to the next step of the wizard. 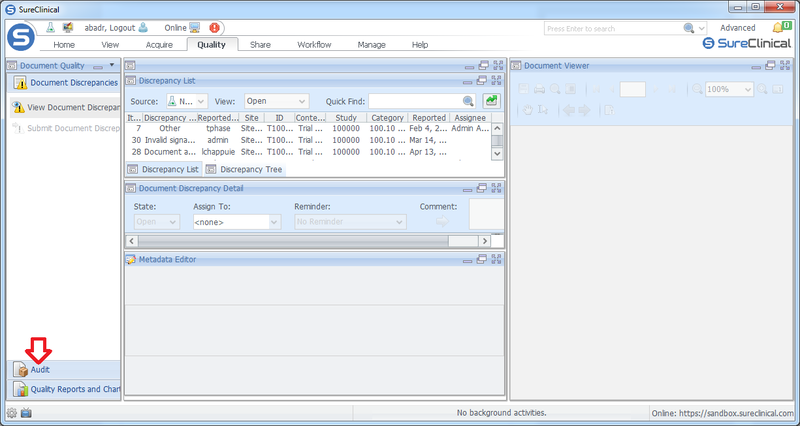 5 Enter the Audit Name and click Finish to generate the audit sample list displayed in the Audit Sample List widget.